This project seeks to address the impact of technology on electoral participation in band elections and band governance in First Nations communities. It also looks more closely at how First Nations members conceive of citizenship today and whether this sheds light on their inclination to take part electorally, both within their band, and also more broadly in Canadian society. While the entire First Nations community will be examined, special focus will be given to young people under the age of 30 given that they participate at lower rates than older cohorts of First Nations electors. First Nations communities across Canada. Quantitative surveys will examine the effects of Internet voting on participation in band elections and whether these outcomes mirror the effects of Internet voting in other communities in Canada and elsewhere. Four groups will be surveyed, these include: Internet voters, paper ballot voters, candidates and electoral administration for the band elections. The second part proposes to examine the impact of technology (e-democracy software) on participation in local councils and band governance. The project will assess whether digital and mobile technology foster increased participation and involvement in band politics, or whether there is no change or a negative effect. Finally, the project seeks to evaluate how First Nations members conceive of citizenship and will explore how this might impact and inform their political participation, including their involvement in their community and in Canadian society more broadly. 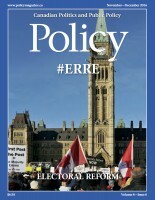 First Nations members typically have lower rates of voter participation and there is a good chance their inclination to take part electorally could be linked to their perceptions of citizenship within their communities and within Canadian society, as Canadian citizens. Questions probing conceptions of citizenship would be included as part of the Internet voting surveys. Additional focus groups would be conducted to shed additional explanatory insight.